The meeting will start at 4:30pm with the plant tour of Rough Brother’s greenhouse manufacturing facility. Neil Johnston, representative of R.A. McGovern Equipment Company, Inc. will be on hand to give a talk to local growers about Modine Manufacturing Energy Efficient Heaters for the greenhouse market. Neil Johnston, representative of R.A. McGovern Equipment Company, Inc. will be on hand to give a talk to local growers about Modine Manufacturing Energy Efficient Heaters for the greenhouse market. Rough Brothers Inc. is hosting the Cincinnati Flower Growers Meeting at Vine street location on October 07, 2015. The meeting will start at 4:30pm with the plant tour of Rough Brother’s greenhouse manufacturing facility. Neil Johnston, representative of R.A. McGovern Equipment Company, Inc. will be on hand to give a talk to local growers about Modine Manufacturing Energy Efficient Heaters for the greenhouse market. Neil will talk about simple and cost effective methods to keep greenhouse heaters running in top shape for the upcoming winter ahead. After, he will explain the new PTP line of stainless steel heaters, and how they differ from the old PDP line, and what benefits it has for greenhouse growers. The Cincinnati Flower Growers (CFGA) is an association of growers, retailers, suppliers, and educators, dedicated to the promotion of flowers, and the well-being of those around us. 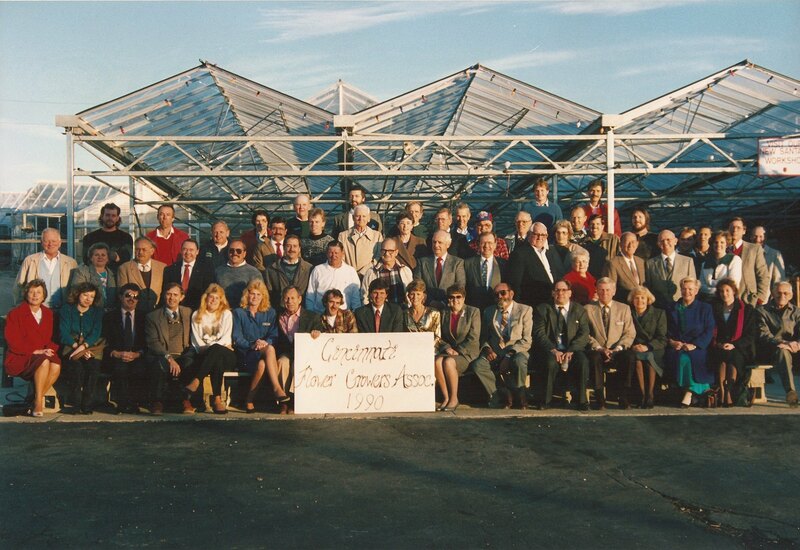 In the 1950’s, a small group of flower growers started the Cincinnati Flower Growers Association. Many of these growers would grow, and sell their cut flowers to the stock houses located on the banks of the Ohio River (Where Paul Brown and Great American Ball Park Stadiums now reside). The growers banded together to help each other with the common goal of selling the best flowers, and assist each other during the year. In the early 1900's, when much of the cut flower market moved overseas, the term “Garden Center” was coined, and the rise of growers switching from cut flowers to hanging baskets and flatted flowers started to rise and memberships started to boom. Today, the Cincinnati Flower Growers comprises of growers, greenhouse hardgood suppliers, horticultural brokers, education personnel, and public entities such as parks departments and zoo’s. 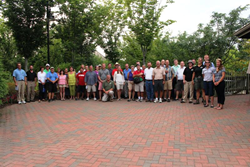 Over 40 members are present in the groups long standing history in Cincinnati. CFGA meets the first Wednesday of each month (except February, May, and July) at a “host” location, keeping the membership alive, and help with the promotion of flowers in the Tri-State Area. Keith Bemerer is the Treasurer for this organization for 3 years.